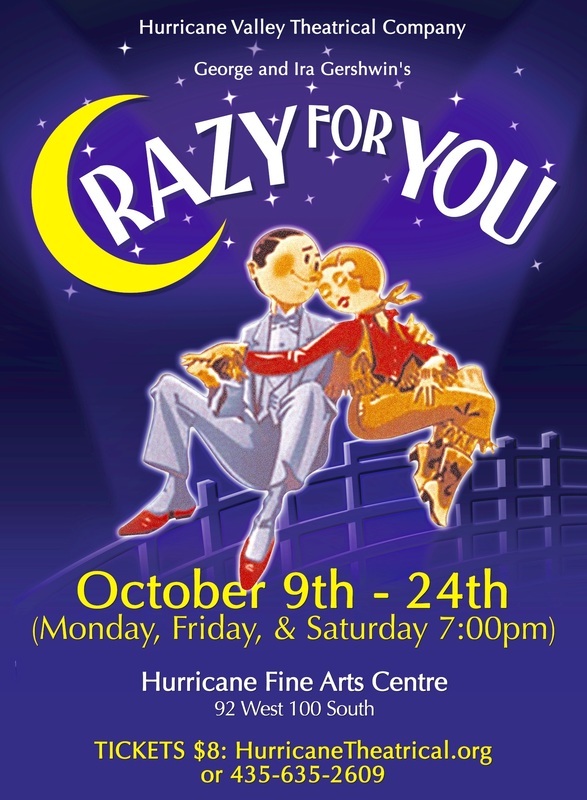 Hurricane Valley Theatrical Company is putting on a great romantic musical called Crazy For You. I think this would be really good and the tickets are very affordable. It would be a fun date night. The first performance is tomorrow, October 9th. To order tickets call (435) 635-2609 or order them online by clicking here.